This great single was recently requested by Marcelo! Stitch can indeed be mistaken for many of the British acts at the time, as you can easily tell that their sound is founded upon the influence of the NWOBHM. 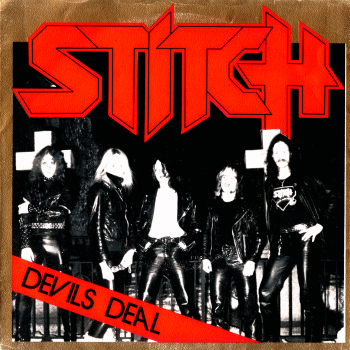 For a Swedish heavy metal record being released in 1982, Stitch surely helped kickstart, in some way or another, the underground heavy metal movement in Sweden, alongside the mighty Gotham City.